Street track used in 1936 and 1937. 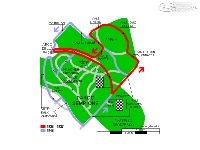 It was in Parco (park) Sempione, between Castello Sforzesco (Sforza's Castle), Arena and Arco della Pace (Peace Arch). Arena is the first stadium in Milan and it was built in 1806. I don't know different between 1936 and 1937 and I don't know which layout is shown on my map here. 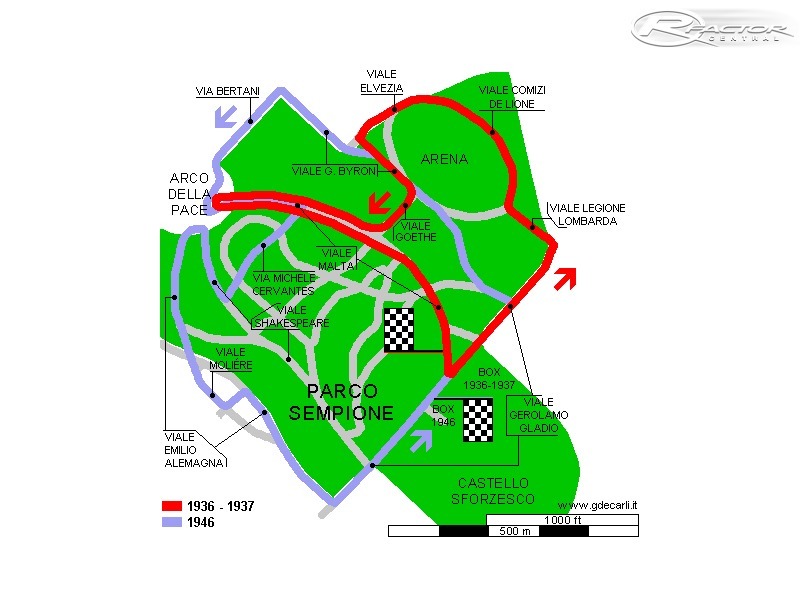 In 1946 another completely different circuit was used in the same Sempione park.